The whole world howled when, back in 2014, we were first introduced to the peaceful, rural community of Woodhaven, when alcoholic cop Lou Garou grew a few hairs on his chest and saved the locals from a gang of rebelious reptilian shapeshifters. 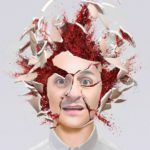 Given the sheer amount buzz writer/director Lowell Dean’s loopy lupine horror/comedy spawned, it came as no big surprise when a sequel was green-lit. 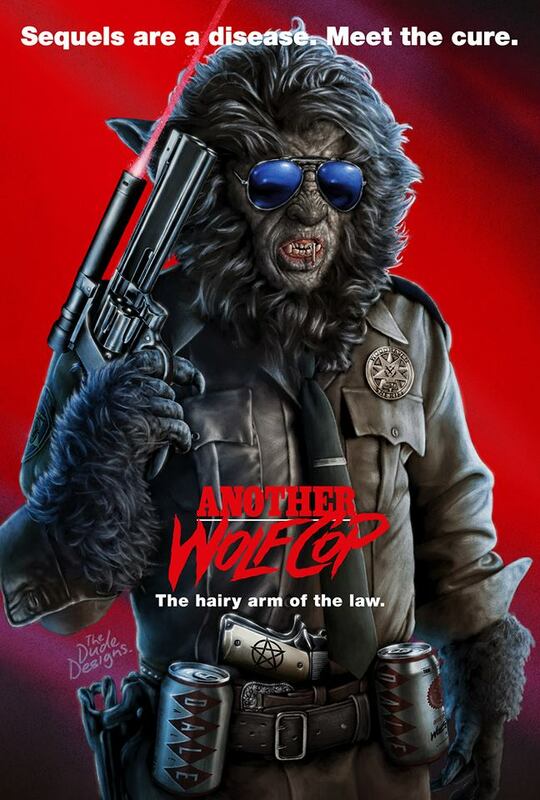 And now, two years later, Another WolfCop just made its world premiere at Austin’s Fantastic Fest and the buzz for the fuzz is back with a vengeance. I can tell you, we had a hell of a good time premiering #AnotherWolfCop at Fantastic Fest and damn, were those fans ever awesome! If you were lucky enough to be there, you already saw this in real time, and you might have been a savvy enough deputy to have seen it bouncing around the web a bit… But here it is, in full glory: An awesome new poster for Another WolfCop from The Dude Designs, possibly topping the un-toppable after his last masterpiece from the original WolfCop! And this time, with 300% more Stallone References! There’s no news of an official release of Another WolfCop just yet but we’re sure it’ll be hitting a festival near you some time soon. 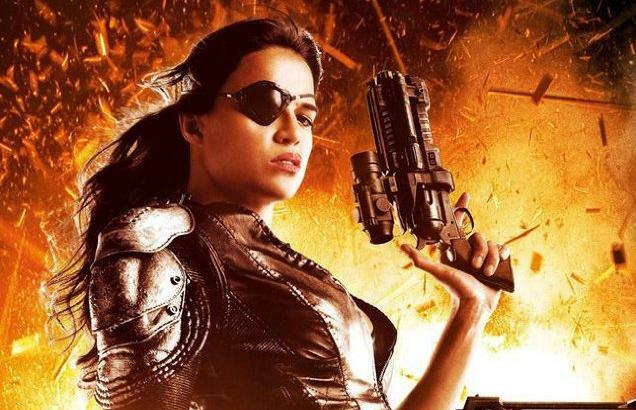 We’ll keep you posted as news rolls out, but in the meantime, we’ll leave you to wolf down The Dude Designs’ Stallone-heavy poster along with a few stills from the film…. Things begin to look up for the loser residents of Woodhaven when a billionaire businessman announces he’s reopening the local brewery to produce Chicken Milk Stout, as well as gifting the town with its very own hockey team, the Darkstars. 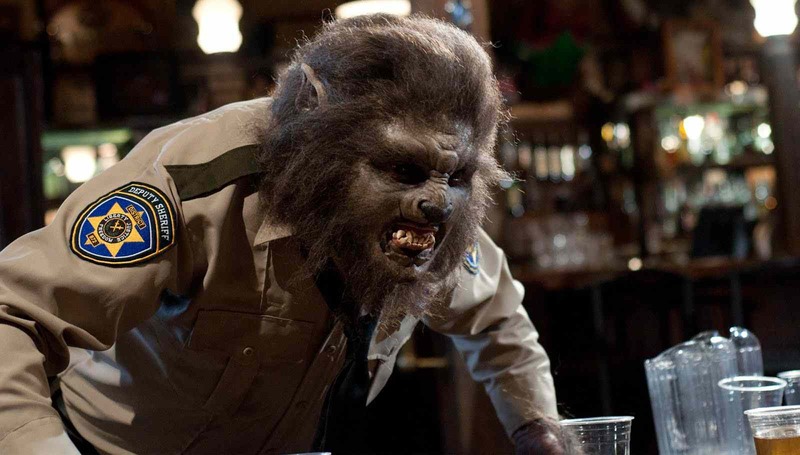 However, the unexpected return of an old friend (who now sports a large foul-mouthed mustachioed phallus) and a strip joint bloodbath alert Wolfcop to the rise of something evil to the town. 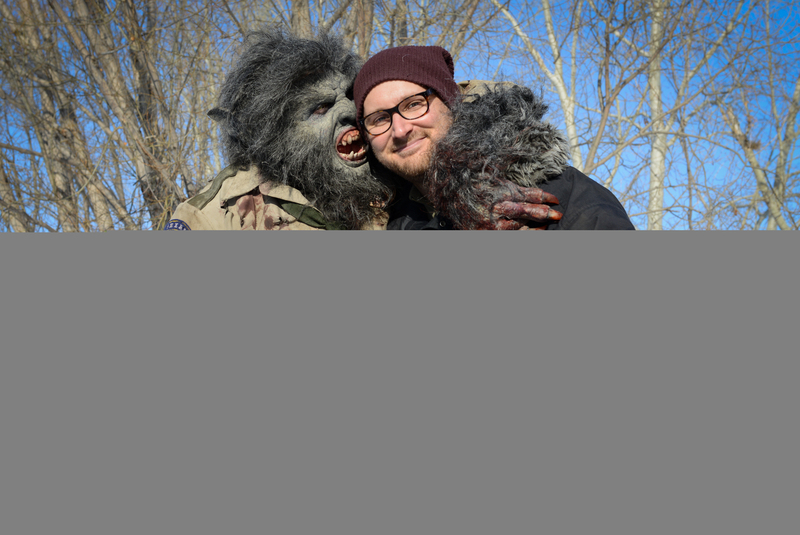 Things are going to get hairy, Wolfcop is on the prowl!